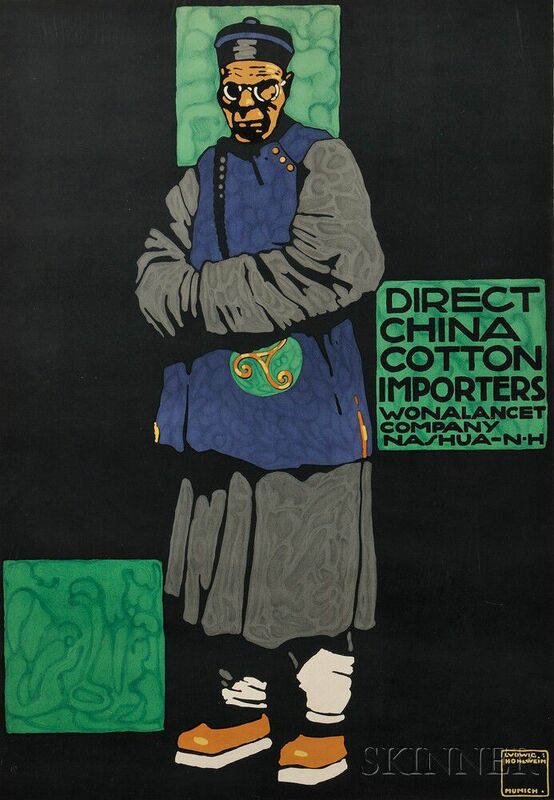 Direct China Cotton Importers Wonalancet Company Nashua-N·H, 1909. Identified within the matrix. 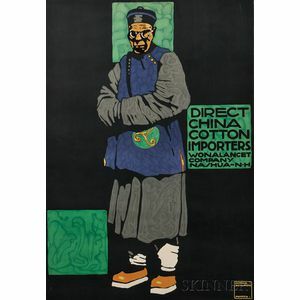 Color lithographic poster, sheet size 32 1/2 x 23 1/4 in. (82.4 x 59.0 cm), shrink-wrapped. Condition: Subtle toning, minor handling creases, creases and minute nicks to corners, water staining and pinpoint foxing to margins, not examined out of wrap. Provenance: A New Hampshire institution. The work is not mounted or linen backed.